April 2013 and May 2014. Belly Glitz Hafla, Performance with international dancer Sadie Marquardt, London, UK. June-July 2009. Regular belly dancer at Levant Group, restaurants Levant, Levantine, Pasha & Kenza, London, UK. November 2007. Hafla Saqarah, Horse Bar, London, UK. December 2006. Choreographed and performed in Veil, video dance Project created with artist Bruno Bresani. Video was presented in International video dance festivals at Barcelona, Rio de Janeiro & Manchester. April 2006, Katya Browne Exhibition Opening, Mexico City, Mexico. January 2005, 11° Oriental Dance Festival, Teatro Carlos Pellicer, Mexico City. Directed by Samira Vázquez. July 2004. La Soldeidad Concert, Mexico City, Mexico. May 2003-May 2004. Regular dancer with Cigani Gypsy Dance Troupe, Directed by Lila Zellet. May 2004, Casa de Cultura de la Universidad La Salle, Mexico City, Mexico. Directed by Lila Zellet. March 2004, Cigani Troupe, Festival del Centro Histórico, Palacio de Bellas Artes & Plaza Tolsá, Mexico City. January 2004. 10° Oriental Dance Festival, Teatro Carlos Pellicer, Mexico City, directed by Samira Vázquez. December 2003. Special guest with Egiptanos, Teatro Bar El Hábito y Exconvento de San Hipólito, Mexico City. Directed by Lila Zellet. November 2003. Oriental Gypsy Dance Festival. Casa de Cultura de la Universidad La Salle, Mexico City, Mexico. Directed by Lila Zellet. November 2003. Special guest at Musical “Aída”, Centro de Desarrollo Artístico Tercera Llamada, Teatro Julio Prieto, Mexico City, Mexico. September 2003. 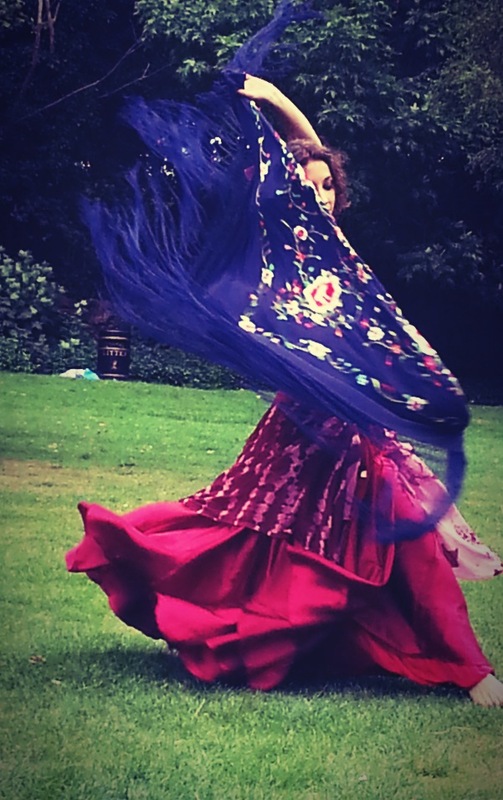 Oriental Gypsy Dance Festival. Casa de Cultura de la Universidad La Salle, Mexico City, Mexico. Directed by Lila Zellet. May 2003. Performance with Soizic. Universidad Pedagógica Nacional, Auditorio Lauro Aguirre, Mexico City, Mexico. Directed by Patricia and Soizic. April 2003. Oriental Dance Presentation. Facultad de Estudios Superiores Cuautitlán, Universidad Nacional Autónoma de Mexico, Estado de Mexico, Mexico. Directed by Amal Halima. February 2003. Special performance at Monumento Ángel de la Independencia, Mexico City. Directed by Amal Halima. December 2002. Oriental Dance Presentation, Christmas Special 2002, Teatro Libanés y Centro de Desarrollo Artístico Tercera Llamada, Mexico City, Mexico. Directed by Amal Halima.